Comet Ikeya-Seki approaching the Sun, coronagraph. As the comet approached perihelion (the point at which it comes closest to the sun), it broke up into three pieces. 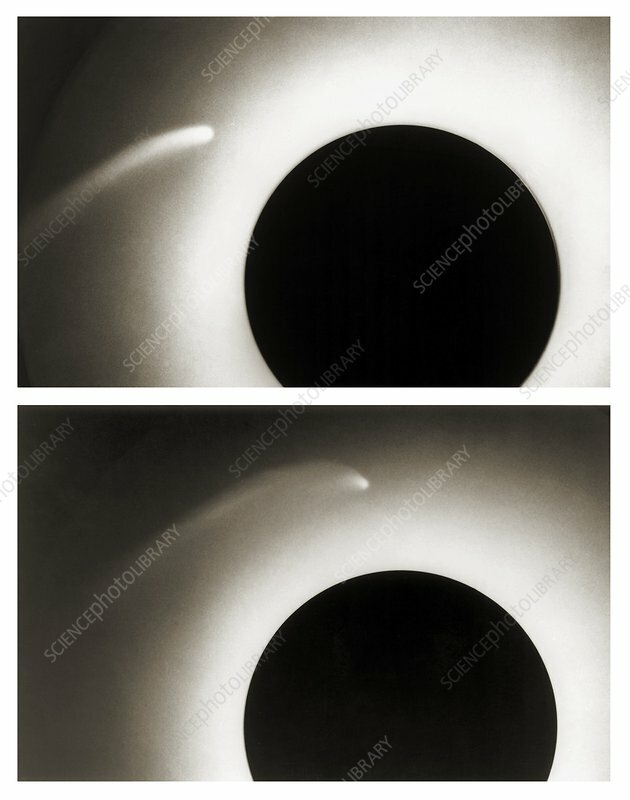 Discovered in 1965 by Japanese astronomers Kaory Ikeya and Tsutomu Seki, this comet was a Kreutz sungrazer. This means that it is a fragment of a larger comet which is thought to have broken up in 1106. Viewed from Earth in 1965, this was one of the brightest comets in history.